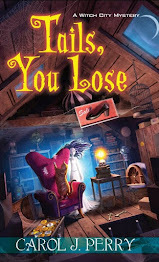 This book follows Caprice De Luca as she is staging her friend Ace's girlfriends house, but Alanna is a very difficult person to work with especially with her treatment of her cat. Caprice ends up walking out on Alanna the next day when she tries to appoligizes Caprice hears things she doesn't think she should be listening to and leaves. Not long after that she hears from Ace that Alanna is dead? Did Ace kill her or someone else have more to gain with her death? 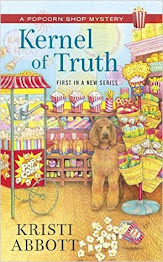 I love this series and enjoyed going back to Kismet and learning how everyone was doing including Nana and Caprice's Uncle Dom who appears in this book. Alot more family dynamics in this book then previous ones and we saw as Caprice dealt with Grant and Seth the two men in her life, and saw where it was headed. I am so addicted to this series as it offers something others don't that I read. 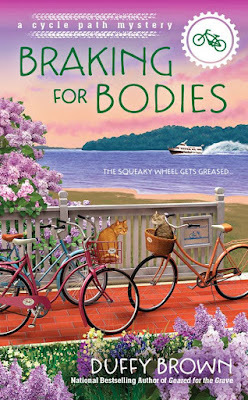 If you are like me and loved Geared For The Grave then I have a feeling you will be like me and can't wait to get your hands on Braking For Bodies. I am so eager to get my hands on this book as well. What do you all think about this book think you'll jump to read it? What do you think at the cover? Me personally I love the bright colors I think it's looks awesome!! Feel free to share your thoughts below I look forward to reading them! In semiautobiographical stories set largely in David Vann's native Alaska, Legend of a Suicide follows Roy Fenn from his birth on an island at the edge of the Bering Sea to his return thirty years later to confront the turbulent emotions and complex legacy of his father's suicide. This is the 3rd book I've read by David Vann: Before Legend of a Suicide, I'd read Dirt and Goat Mountain. The only one I have of his left to read is Caribou Island, and by having read what I did read so far, I can easily say that he keeps surprising me in many ways even though after each one of his books I'd said, "not next time, David." If you start reading the book knowing a little bit about his life story, you can't help but think, "is he writing the truth right about now?" And you keep wondering how much of it is fiction and how much of it is real. While reading, I couldn't help but think that the parts I thought were real are actually fiction, and the parts I thought were fiction are real. I think this also has to do with my having read two of his books previously: Vann draws from the darkest, scariest places inside people that they don't even know are in there or that they could be. This leads me to believe that to dig that deep, he has to have lived some of it. Because I don't want to ruin the value of surprise if you do end up deciding to read the book, I don't want to get into too much detail. However, I have to say that (and as is obvious from the title of the book) suicide is in the center of the story. Legend of a Suicide made me realize once again that I cannot stand people who only think about themselves, force others to be by their side with mind games so that they won't be alone, are depressed all the time and spread that negative energy around like it wouldn't hurt anyone, can't even try to be happy with the little things in life. *I have translated this part into English from the Turkish translation so it might not be 100% the same as the original. 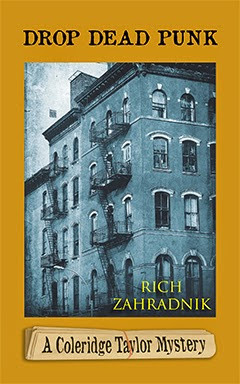 Recently I had time to sit down with Rich Zahradnik and talk to him about his book we welcome him to Community Bookstop! Mysteries in the form of my series the Coleridge Taylor Mysteries. I also just recently finished a middle-grade sci-fi/fantasy called TIMERS. That's with my agent, who will have to find a publisher for it. Flawed human beings trying to do the right thing. They don't set out to be heroes but to simply do what needs to get done. And their flaws need to be natural and organic; that is, believable problems that come from their pasts and not a character checklist. Can you tell us what brought you to write that genre? I've read crime since the Hardy Boys in sixth grade and was, from that same time, fascinated by TV and movie detectives. Mysteries, other types of crime fiction, science fiction, fantasy. 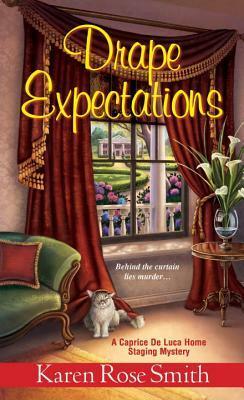 I read a fair number of books about the craft of writing and about the time period covered in my mystery series. I also read a good many YA and middle-grade stories because I also work in those areas and, to be honest, find those writers tell great tales unencumbered by silly literary concerns. I do all the promotional stuff a writer must do these days to get the word out on his own books. You know, like interviews. :) For the past five years, I've taught elementary kids how to publish newspapers. I've had to stop that because my writing got busy. if you could take three things to a deserted island what would they be? A loaded Kindle, a loaded iPod and a solar power charger that would recharge both. Last Words, now available in paperback and all ebook formats, won honorable mention for mystery in Foreword Reviews' IndieFab Book of the Year Awards. desperate attempts to save his mortal beloved. Valeria's life in Manhattan had been filled with deep loneliness and a lot of "nothing special". That is, until she's saved by the handsome Alex Morgan and suddenly her world takes a thrilling new turn! But Alex has a chilling secret: Valeria has only days until her life will be tragically ended! The Oracles-a love more enduring than life...than death...than destiny. This book follows Alex Morgan who is looking for someone. 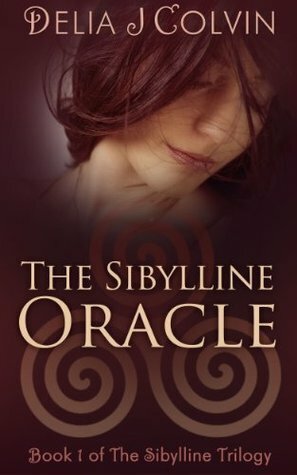 It deals with Greek Mythology and specifically Cassandra and Troy. Alex starts out as a professor in New York who is leaving his students. Next we meet Valeria who is sad and lonely now that she stopped being a florist and is trying to figure out what to do next when she is saved by Alex and turns her world upside down. He tells her he needs to take her away and while it doesn't make sense Valeria goes with him. There in Italy she learns alot about herself and Alex and what they are. This story involves love, danger, action and ultimate sacrifices one will do for love. I loved this book it took a couple of days to read but everytime I picked it up it was heart wrenching to put it down and not see what was in store next for Alex and Valeria and how they would over come everything. It is such a page turner and really shows how far someone will go for someone they love. I loved all the people in it they all added something to the story. Julia Snowden returned to her hometown of Busman’s Harbor, Maine to rescue her family’s struggling clambake business—not to solve crimes. But that was before a catered wedding on picturesque Morrow Island turned into a reception for murder. 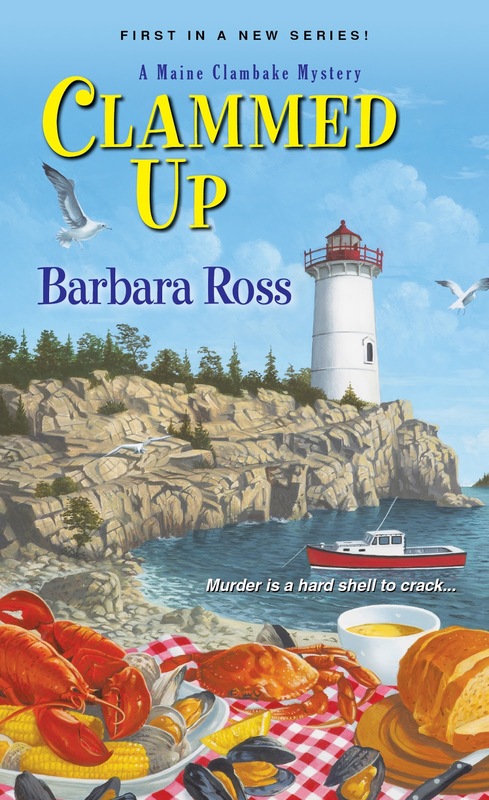 When the best man’s corpse is found hanging from the grand staircase in the Snowden family mansion, Julia must put the chowder pot on the back burner and join the search for the killer. 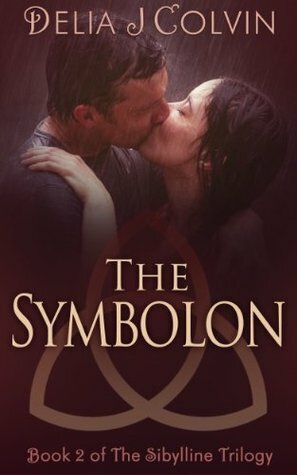 And with suspicion falling on her old crush, Chris Durand, the recipe for saving her business and salvaging her love life might be one and the same. Q: In what genre is The Judge’s Story? 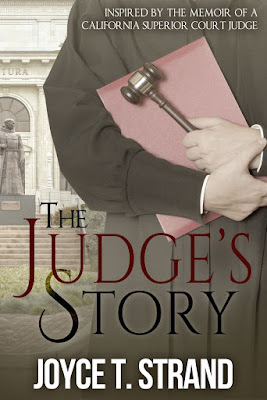 I place The Judge’s Story in the mystery genre, but it is also historical fiction. It is set in a small town in California (Ventura) in 1939 where a Superior Court Judge enlists the help of his colleagues and a precocious teenager to uncover the identity of a murderer. 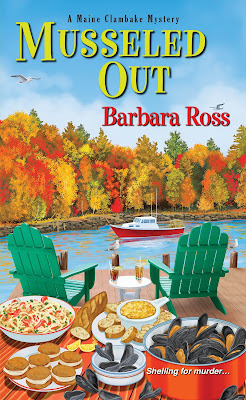 I typically write current-day mysteries set in Silicon Valley or California wine country. This is my first historical mystery, and I enjoyed researching and imagining how it was to solve a crime in 1939. Even though it’s set in a past time period, it is still a mystery. Inspiration for The Judge’s Story occurred one day several years ago when I was having lunch with a friend. Knowing that I was an author of mysteries, he said that he had just printed copies for his family of his grandfather’s autobiography dated 1941, which they had discovered in an attic. His grandfather had been a California Superior Court Judge and also a law partner of – “maybe I was familiar with”—Erle Stanley Gardner. Well, of course, I knew the creator of Perry Mason and I’m sure I’ve read every “Case of …” that he ever wrote. Gardner had recommended that my friend’s grandfather write his autobiography because he had such an interesting life. Well, I was definitely intrigued, and my friend sent me a copy. What an interesting person! He was a hero-judge, supporting current-day causes and the poor. I knew I had to write about him—I didn’t need to repeat his autobiography. What I craved was to write a mystery using his persona as my protagonist. So in between writing my current-day who-done-its, I made time to research the town’s history and created a mystery around the Judge. Q: How supportive was the setting of a small town in California to tell the story? I find that setting definitely supports the telling of a mystery. Weaving location and trends of the period into the plot offers the opportunity to develop characters and plot, which was the case in The Judge’s Story. By reading a daily newspaper in 1939, I was able to pull out many incidences and locations that enhance the tale. Ventura, California is a small seaside town just north of Los Angeles. The real Judge lived there, and I used events and places in Ventura and Los Angeles to advance the plot and flesh out the characters. For example, the fictional Judge loves to go for walks on the Ventura pier to listen to and smell the ocean, which helps him think and solve problems. The L.A. drive-in theater offered a unique location to advance the plot with a robbery. Q: Why do readers care about your characters? I write for readers who prefer real people who make mistakes, don’t always perform as they should, but eventually do the right thing. Mostly they succeed, but occasionally they do not. As for villains, well, I try not to make them too villainous, but sometimes I just can’t help myself. When developing the Judge, I had an advantage given that I based him on a real person—although I hasten to add that most of the events around him in the book are fiction. I used his beliefs, mores, and ethics and some of his biography—but the mystery and all of his friends and colleagues are fictional. Nonetheless, I had quick insight into a real person and could reflect his faults as well as his heroic tendencies. 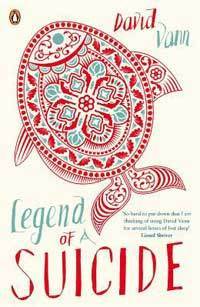 Many readers find Clara, the 16-year old precocious teenager, almost as compelling a character as the Judge. She is the witness who we learn early in the book is testifying against a 14-year-old boy who participated in a robbery murder. She has strong beliefs, and through the Judge’s tutelage she evolves as someone who makes a difference, although she does trip a few times. Q: The Judge’s Story involves juveniles and juvenile crime. Did you target youth readers? Although The Judge’s Story does involve juveniles and juvenile crime I wrote it for adults. The actual Judge and news reports of the 1930s were concerned with juvenile crime, and for the sake of the mystery, I needed to portray that trend and some of its consequences and tragedies. Q: Did you write The Judge’s Story to entertain and/or to deliver a message or educate? I wrote The Judge’s Story to entertain, but, quite frankly, the Judge and his friends had much to say about juvenile crime and the merits of rehabilitation versus punishment and the value of reading. Literacy was another trend of the 1930s, and it had to be part of the story. But the messages evolved from the 1930s and from the Judge’s cases and his comments on them. I did not set out to deliver a message or educate. Q: Was it more difficult to create characters who lived in 1939? Creating characters in a different time period requires an understanding of what it was like living then. Obviously transportation and communication were different—there were no Cell phones or internet. In fact, many people didn’t have phones at all. But Hollywood was producing movies and cars were becoming more prevalent, resulting in the growth of roads, and air travel was beginning to take shape. So, when creating a 1939 character I had to keep in mind what life was like in a small town in California. This required research, and I was fortunate enough to find the Ventura County Museum with its library and helpful librarians. But people are people and I found that expressing their feelings, emotions, and motivations were not unlike those of my 21st century characters. 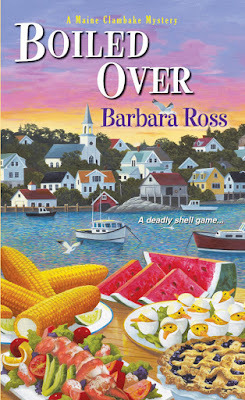 Q: Do you write other mysteries? Are they all historical? I write current-day who-done-it murder mysteries that typically feature an amateur sleuth who gets herself into lots of predicaments. In the first three, a public relations executive, Jillian Hillcrest, works at a small biotechnology company in Silicon Valley, encounters murder, and becomes involved in solving the mysteries. 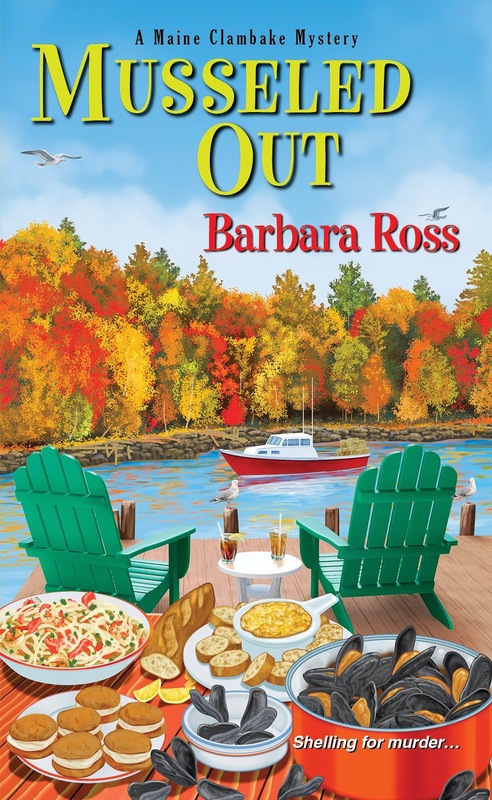 Although standalone, the three books include repeat characters, including Jillian’s boss, Brynn Bancroft, who becomes the protagonist in Hilltop Sunset, the first of a trio of mysteries starring her. Brynn evolves from financial executive to winemaker. 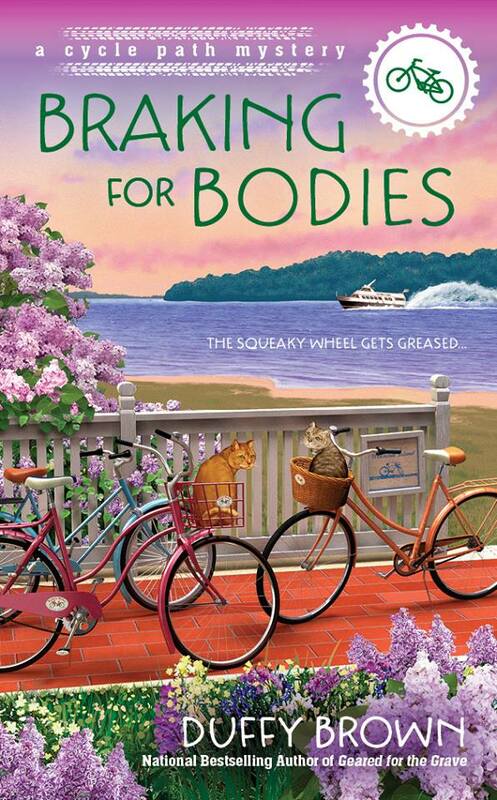 The second book in this series is scheduled for release in November 2015. I am an avid Broadway musical fan—or any live theater performances—so I attend productions whenever I have the opportunity. I also like to go to live orchestra performances, particularly classical and jazz. And I love to go out to dinner and go wine-tasting. the truth behind the mystery of a robbery-murder in a small California town in 1939. 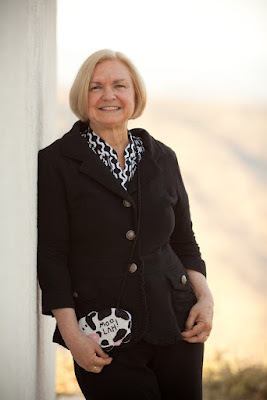 Joyce T. Strand is the author of who-done-it mysteries. 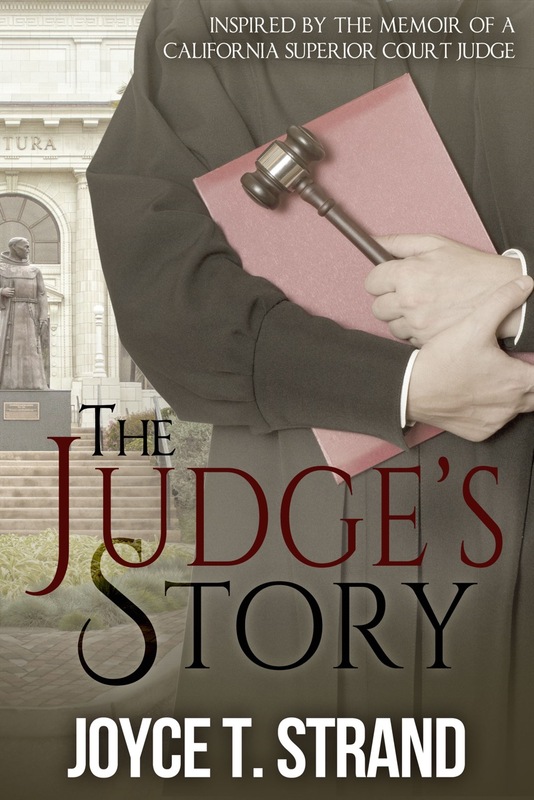 Her newest novel, THE JUDGE’S STORY, published June 23, 2015, is a historical mystery set in a small California town (Ventura) in 1939 and features a California Superior Court Judge. Her most recent contemporary novel, HILLTOP SUNSET, is the first of a trio featuring protagonist Brynn Bancroft, a financial guru in transition to winemaker from corporate executive. Brynn Bancroft is a minor character in Strand’s novels ON MESSAGE, OPEN MEETINGS, and FAIR DISCLOSURE—three mysteries solved by Jillian Hillcrest, a publicist whose boss was Chief Financial Officer Brynn Bancroft. Much like her protagonist Jillian Hillcrest, Strand headed corporate communications at several biotech and high-tech companies in California’s Silicon Valley for more than 25 years. 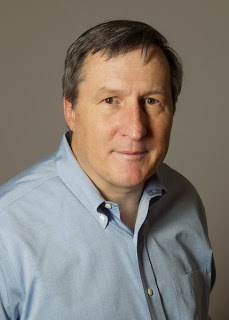 Today, in addition to creating mysteries, Strand writes and publishes a blog, Strand’s Simply Tips, is a writer for a regional wine magazine, and is working on the second Brynn Bancroft mystery, to be published in November 2015. Strand lives with her two cats and collection of cow statuary in Southern California, and seeks out and attends as many Broadway musicals and other stage plays as she can.